March 9, 2017 July 15, 2018 - by Alpha Donald - 3 Comments. Airtel is doubling data for their subscribers this March. 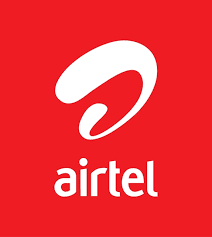 Enjoy 7GB for N2000 on Airtel. With just N2000 ,you can get 7GB of data to browse ,chat etc . They are giving out extra 3.5GB of data when you subscribe the normal 3.5GB for N2000. Without out Taking much of your time , Let me show you how to subscribe 7GB for just N2000. And you are done . Note: This is March data deal ,we don’t think it will last till April . Registration for the 2018 May/June NABTEB is now in progress. Alpha Donald is a Tech Blogger who writes, talks and breath technology. He is also a SEO Expert and web designer. Unless you're not a fan of Fantasy or science fiction. If not, there are many other AnimeHub I'll be listing down below that may be your thing. If you are a fan of those things though, SAO is the perfect anime to start with.